QUESTION: What is the 2014 Domestic Violence Firearm Act (HF 3238, Session Law Chapter 213, also called the Firearms Transfer/Surrender Act) and what do Minnesota judges need to know in order to comply with its mandatory provisions? Enactment of the new law has generated a great deal of confusion among court administration, attorneys and the bench. 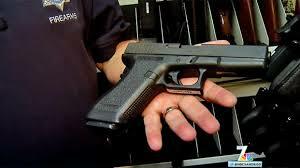 ANSWER: The Firearms Transfer Act is a new series of laws that went into effect on August 1, 2014. The act requires defendants convicted of certain domestic violence offenses or persons subject to an Order for Protection (OFP) or Domestic Child Abuse No Contact orders to “Transfer or Surrender Firearms” during the time they are prohibited from possessing firearms (i.e. period of probation or length of the no contact order). The act makes it MANDATORY for judges to order the “Transfer or Surrender” of firearms if the act applies. This Update will hopefully simplify the new law by breaking it down into 8 facts that explains what judges and attorneys need to know in order to comply with the mandatory provisions of the Act.